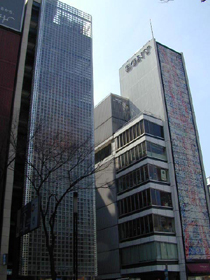 The building is owned by the French luxury empire of Jean Louis Dumas and is the corporate headquarters and retail store of Hermes Japan, a company famous for its upscale hand bags and apparel. The 6,000 square meter (65,000 square feet) building contains shopping space, workshops, offices, exhibition spaces and multimedia areas all topped by a roof garden. A recess that divides the long facade in two forms a courtyard which provides access to the subway two levels below. Located in the Ginza shopping district of Tokyo, one of the most exclusive and expensive shopping areas in Japan, a block away from the colorful Sony Building of the same proportions, designed by Ashihara Yoshinobu in 1966, and amongst the circus of signs and neon lights, the thin, tall but elegant building (45m long by 11m wide or 148ft long by 36ft wide) stands out like a piece of well-crafted jewelry; classical yet innovative. 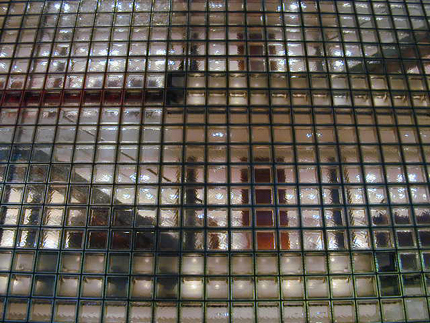 Its facade, made entirely of specially designed and fabricated glass block 45cm by 45cm (17in by 17in) each, is both aesthetically pleasing and technologically innovative. The design intention of the architect, Renzo Piano, was that of a “magic lantern”, inspired by traditional Japanese lanterns. 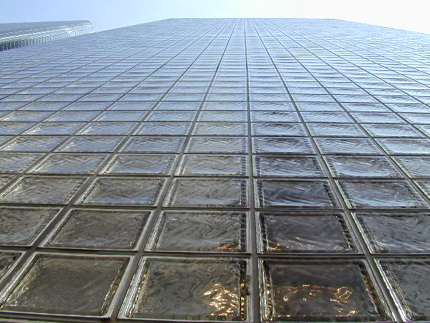 In the daytime the translucent facade gives a hint of what is beyond, the events and objects blurred by the thickness of the glass block. At night the entire building is glowing from within. 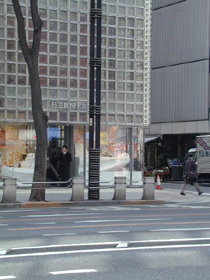 On the exterior, at eye level, the glass block facade is punctuated with clear glass block which displays Hermes products beyond. 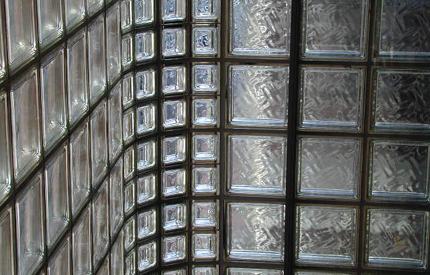 As the facade wraps the corner, like a glass curtain, it changes to curved quarter blocks. 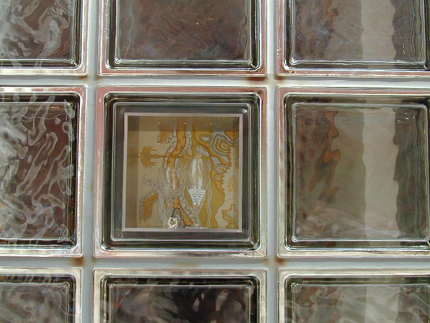 The entry to the retail store is demarcated by plain clear glass. 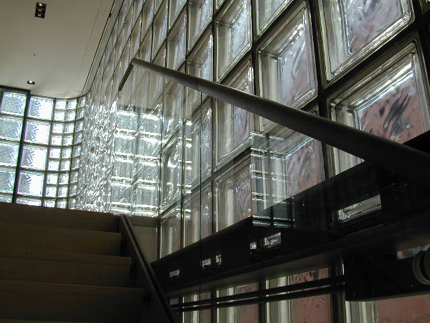 The glass curtain shuts out the constant buzz of the city through the acoustic insulation of the glass block, creating a serene atmosphere on the interior that is naturally lit through the semi transparency of the glass block. The building is technologically innovative not only in its facade construction but also in the way that it applies traditional anti-seismic systems used in Japanese temples to its modern day structure. 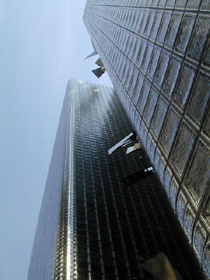 The structure of the building consists of a flexible steel structure, strategically articulated with visco-elastic dampers, from which cantilevered floors span to support the suspended glass facade. During earthquakes the entire building can move according to pre-defined displacements and any deformation is uniformly distributed throughout the structure. 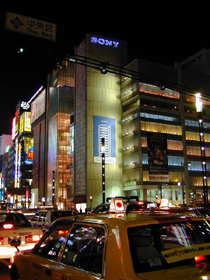 The building is located at Ginza Station subway on the Hibiya, Marunouchi or Ginza Line in central Tokyo. The store is open 11am - 7pm, closed Wednesday. For more information please telephone +81 3 3289 6811.